Set several years after the events of Django Unchained, Django again pursues evil men in his role as a bounty hunter. 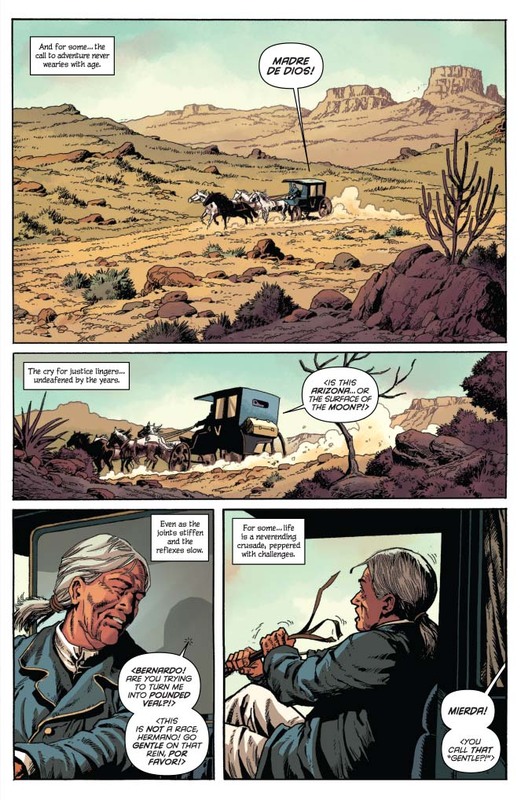 Taking to the roads of the American Southwest, he encounters the aged and sophisticated Diego de la Vega by sheer chance. 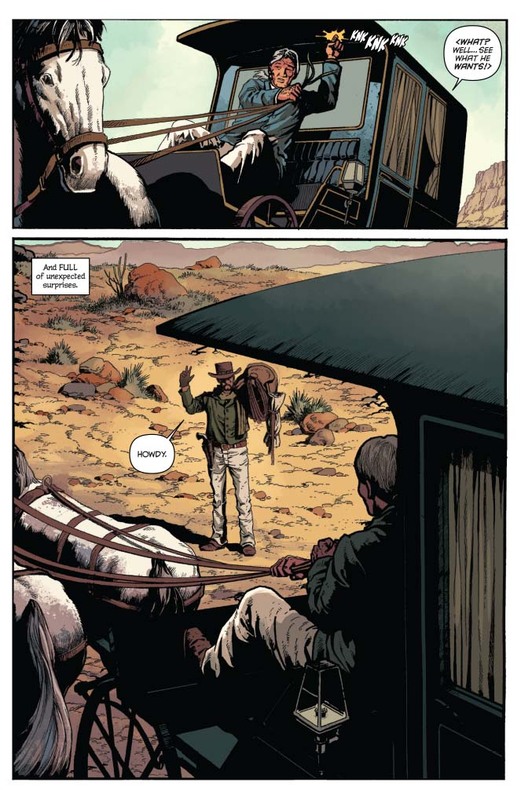 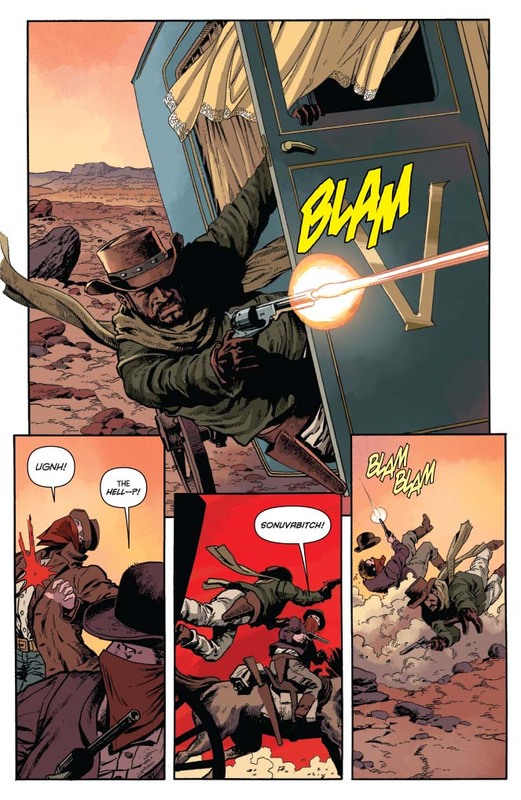 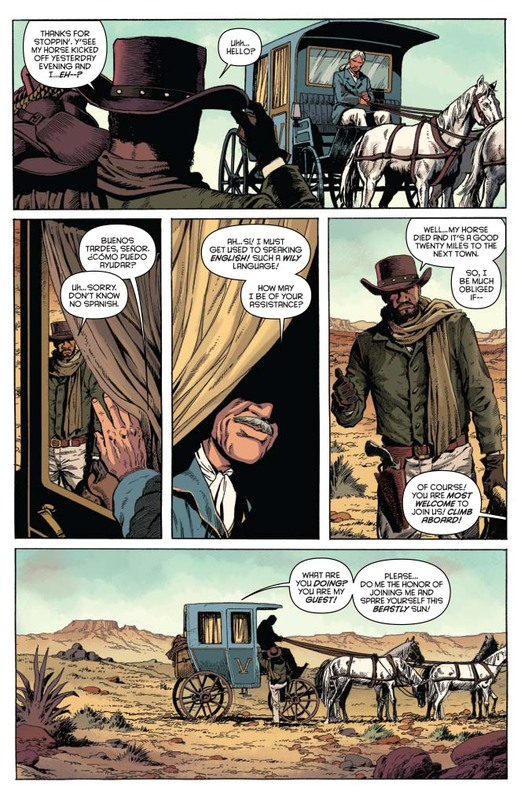 Django is fascinated by this unusual character, the first wealthy white man he's met who seems totally unconcerned with the color of his skin... and who can hold his own in a fight. 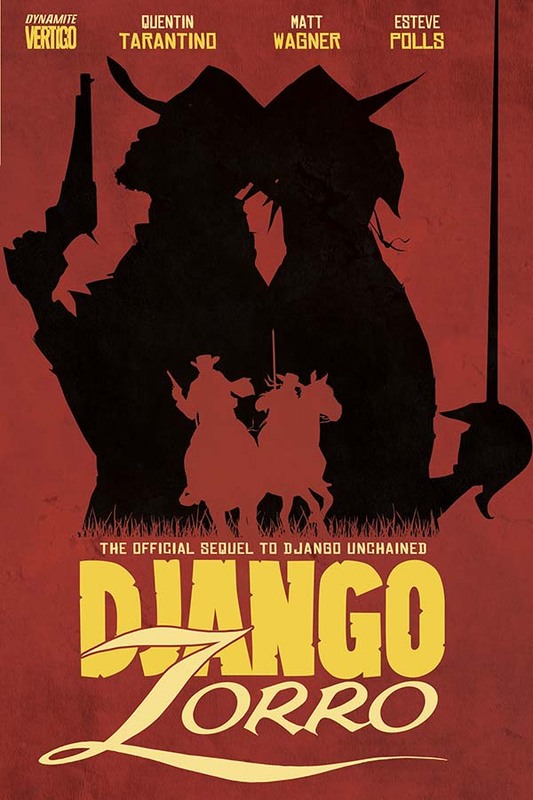 Django hires on as Diego's bodyguard, and is soon drawn into a fight to free the local indigenous people from brutal servitude. 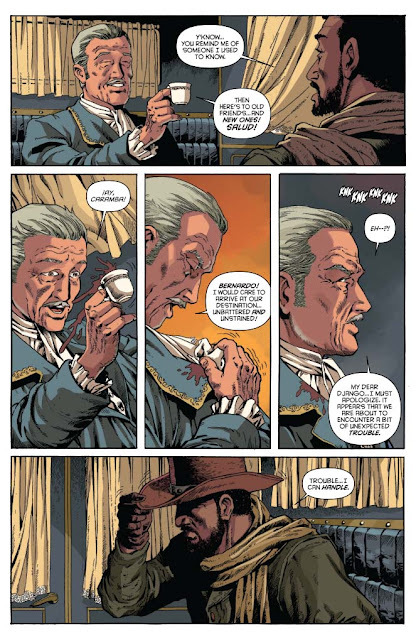 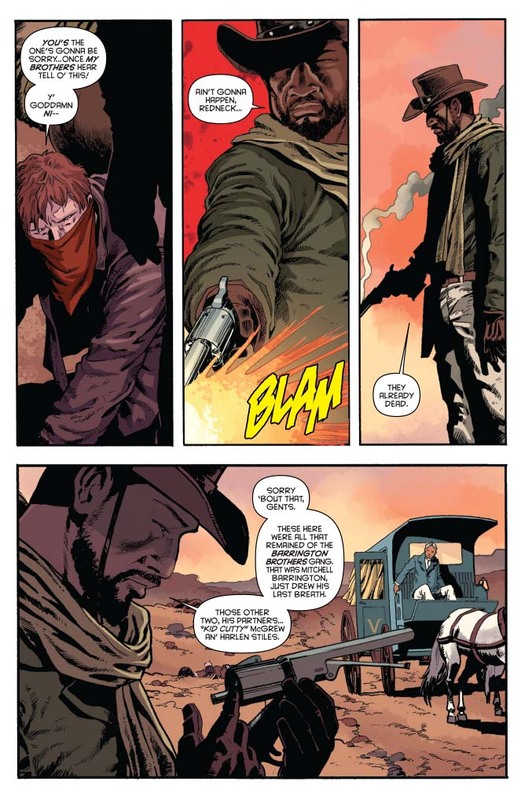 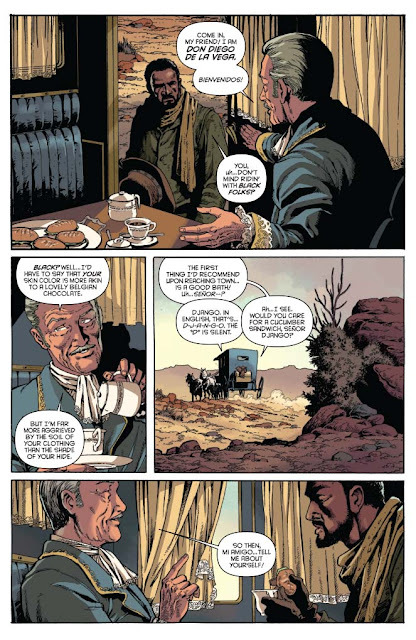 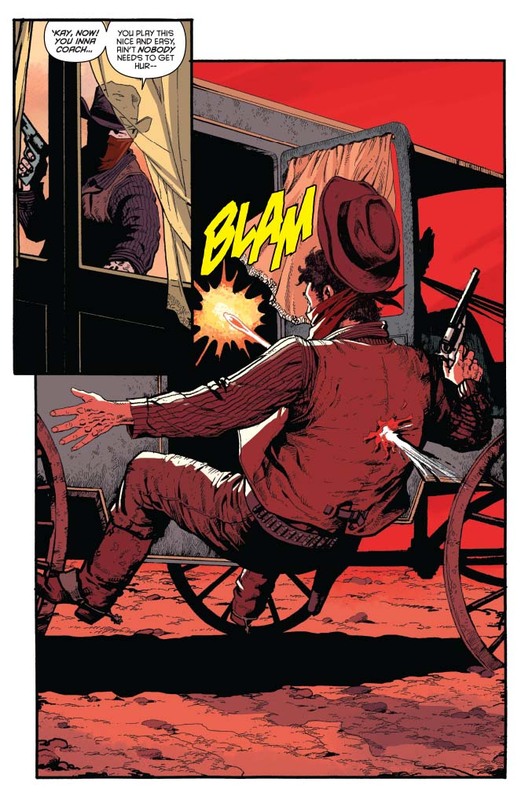 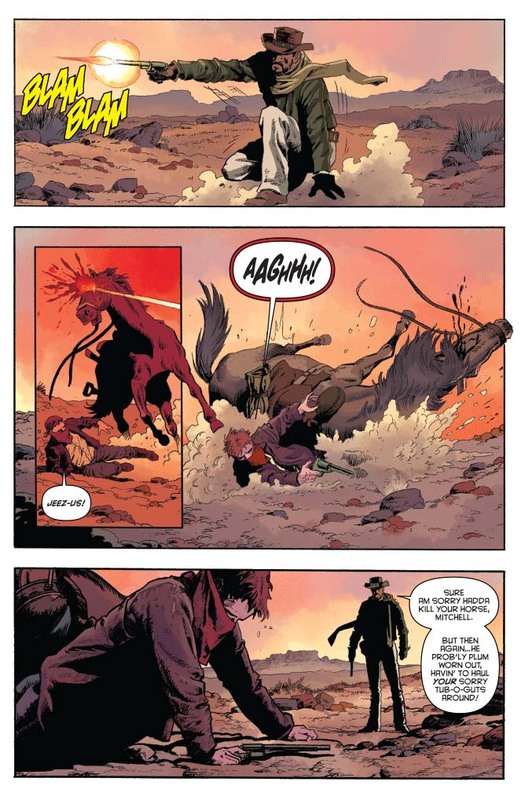 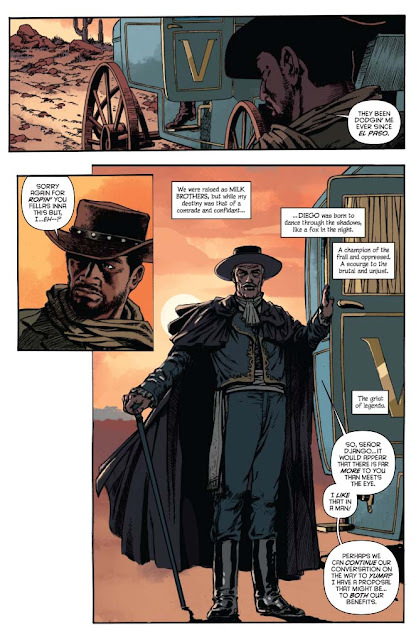 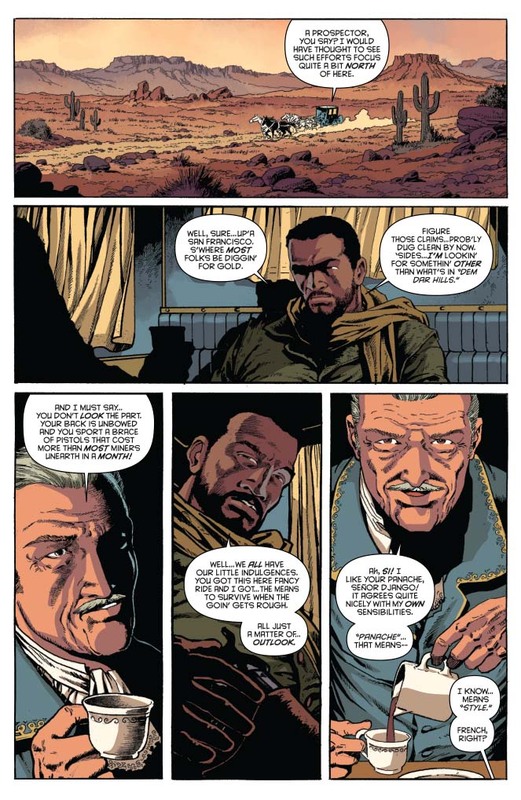 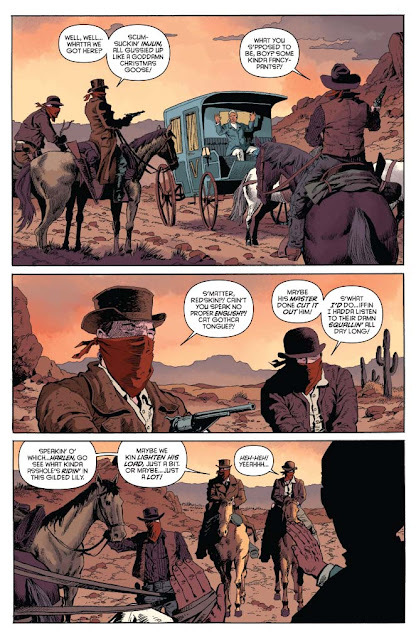 Learning much from the older man (as he did from King Schultz), he discovers that slavery isn’t exclusive to his people, as he even dons the mask of Zorro in their mission of mercy!